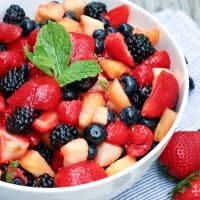 LEMON BERRY FRUIT SALAD — This simple fruit salad is loaded with fresh berries and tossed with lemon curd and fresh mint for a refreshing summer salad that’s perfect for warm weather. 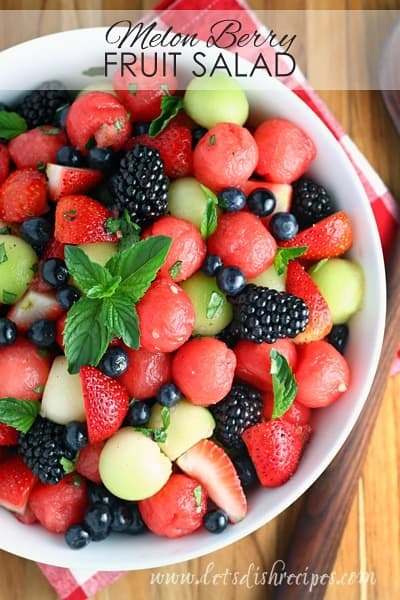 I love serving fruit salad year-round, but especially during the summer when there’s so much delicious fruit in-season. 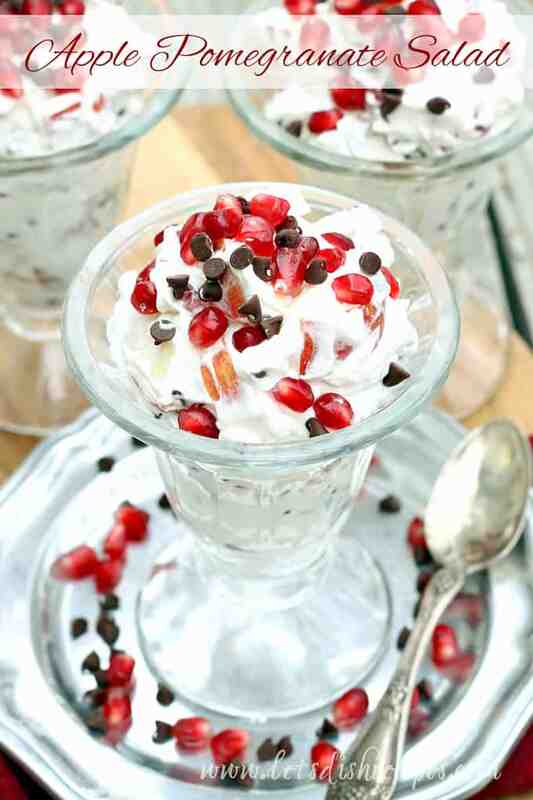 And this Lemon Berry Fruit Salad is one of my favorites! It’s a perfect way to use all of those fresh summer berries, and the lemon curd dressing goes perfectly with all kinds of fruit. Lemon curd is perfect balance of sweet and tart for serving with fresh fruit. It’s kind of the secret ingredient in this salad. Everyone will ask what’s in the dressing, and they’ll be so surprised to learn that all you had to do was open a jar. I usually find lemon curd near the pie filling in the baking aisle. In a pinch, lemon meringue pie filling would work too. You may just need to stir in a bit of water to get the right consistency. I like adding fresh pineapple to this salad for a bit of color, but in-season peaches are also wonderful. With a touch of mint to finish things off, this is sure to become one of your favorite, simple summer salads. 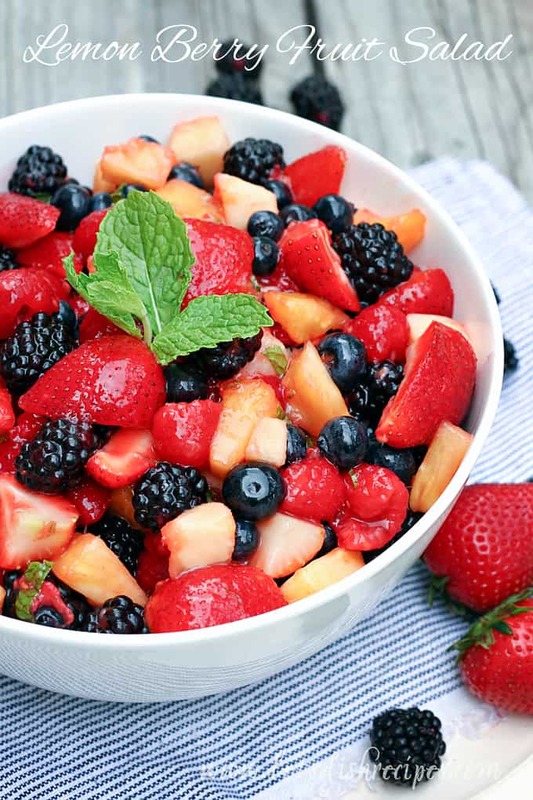 Be sure to save this Lemon Berry Fruit Salad recipe to your favorite Pinterest board for later. This simple fruit salad is loaded with fresh berries and tossed with lemon curd and fresh mint for a refreshing summer salad that's perfect for warm weather. Add fresh berries and pineapple to a large bowl and gently toss with lemon curd. Add fresh mint and toss to mix well. 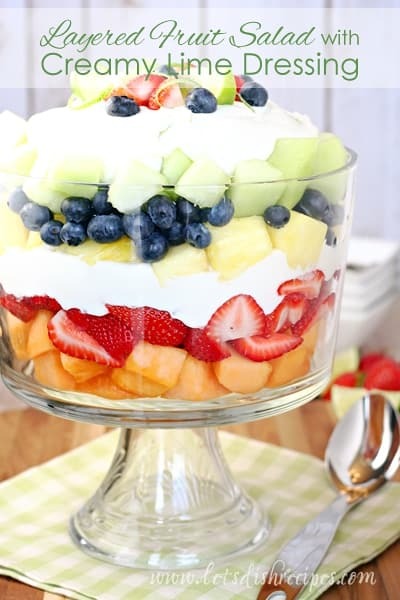 This fruit salad looks delicious with the lemon curd! Hi! I see that you have lemon curd in this yummy fruit salad, but I don’t see a recipe for it. Did you use store bought for the salad then? Yes, I used store bought lemon curd.